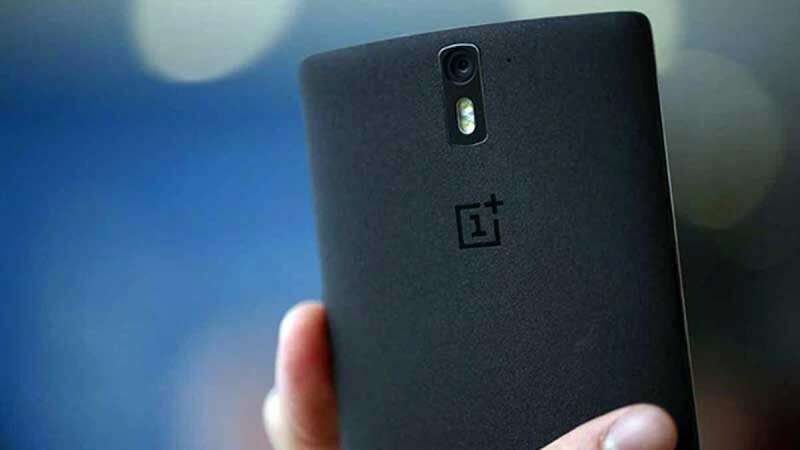 New Delhi : Xiaomi Mi A1 smartphone tops the list of smartphones which emit highest radiations, followed by OnePlus 5T, claimed a research conducted by the German Federal Office for Radiation Protection (Bundesamt für Strahlenschutz). 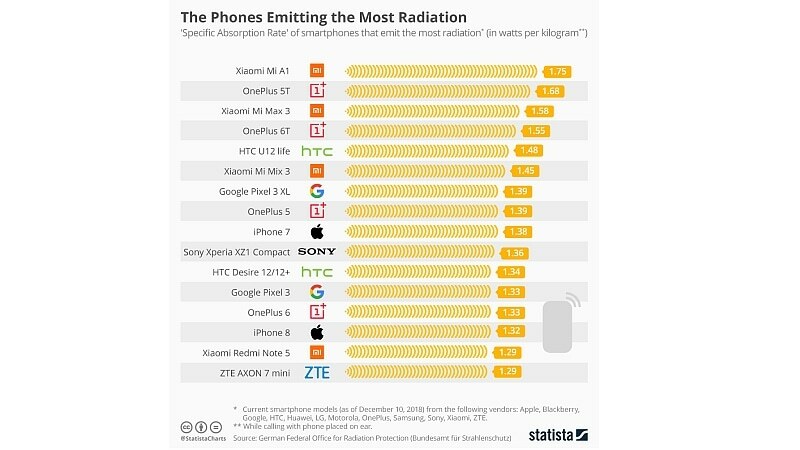 The list of top 16 smartphones emitting the most radiation, compiled by Statista - based on the data provided by the German body, is majorly dominated by models by Xiaomi and OnePlus. Samsung phones however showed better results with all devices falling in the category of least radiation level models. 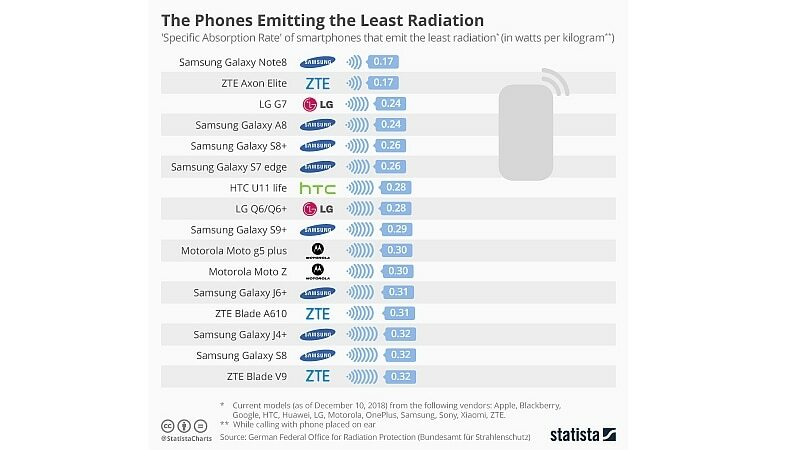 Particularly, the Samsung Galaxy Note 8 and ZTE Axon Elite have emerged as the lowest radiation-emitting phones with a specific absorption rate (SAR) of 0.17 watts per kilogram. The list has been published by the Statista. It shows Xiaomi Mi A1 emits the most radiation with a specific absorption rate of 1.74 watts per kilogram. So far, there is no particular guideline to measure how much radiations are harmful for a human body. But, the German certification for environmental friendliness called 'Der Blaue Engel' (Blue Angel) only certifies models that come with a specific absorption rate of fewer than 0.60 watts per kilogram.